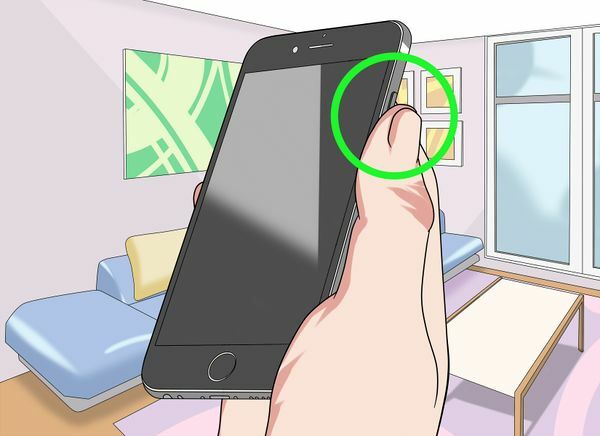 This wikiHow will show you how to turn on an iPhone. 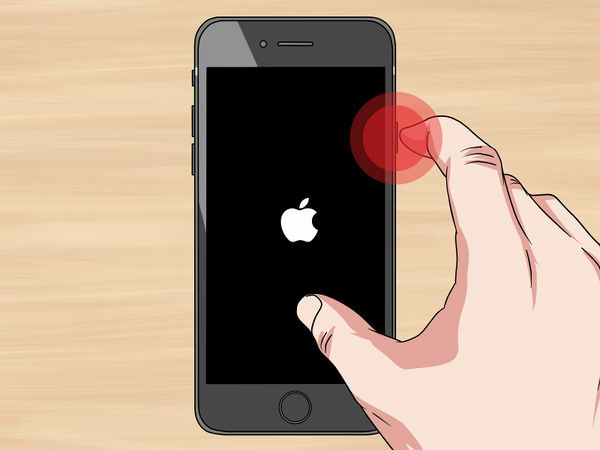 This is the physical button on the upper right side of your iPhone's case. On the iPhone 5S and previous versions, this button is on the top of your iPhone's case. 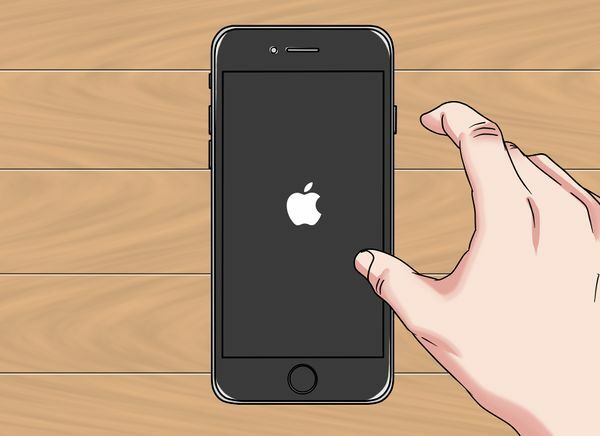 You'll need to do this as soon as the Apple icon comes up. Your phone should finish starting up within a minute. 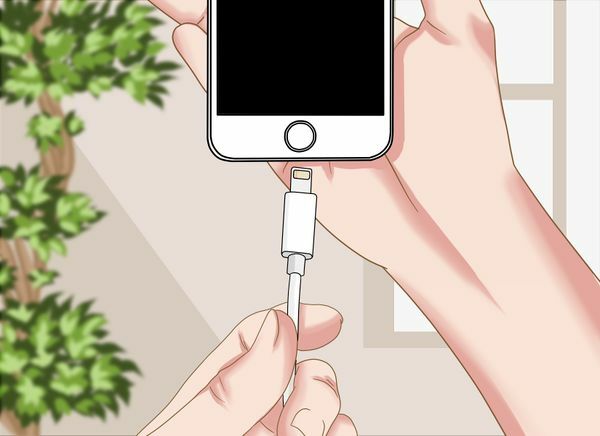 In order to wake up your phone without using the Lock button, you'll need to connect your charger to your phone, then plug your charger (and connected phone) into a power source. 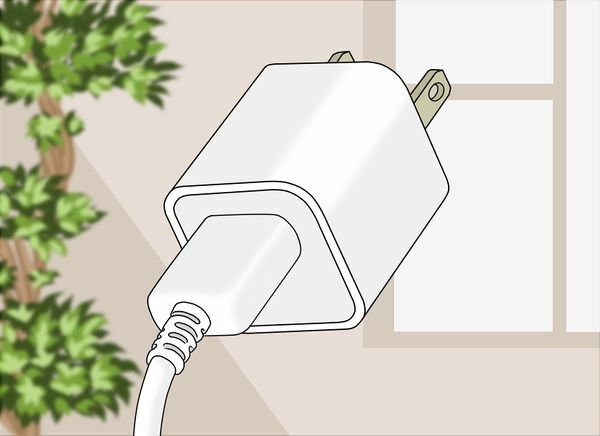 If your charger isn't plugged in, skip this step. The USB cable's large end needs to plug into the rectangular port on the charger cube. 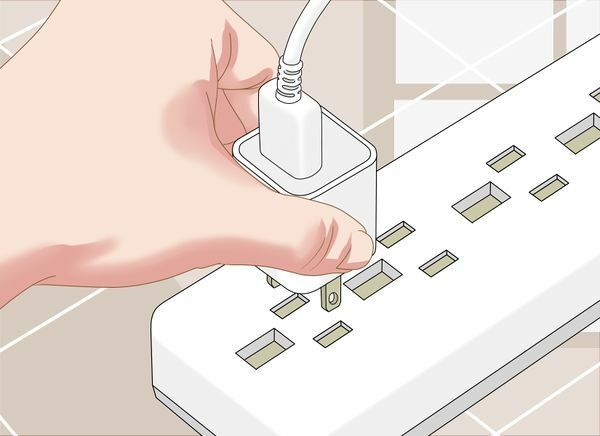 If the USB cable doesn't fit into the rectangular port, rotate the cable 180 degrees on its long axis. The charging port is on the bottom of your phone. 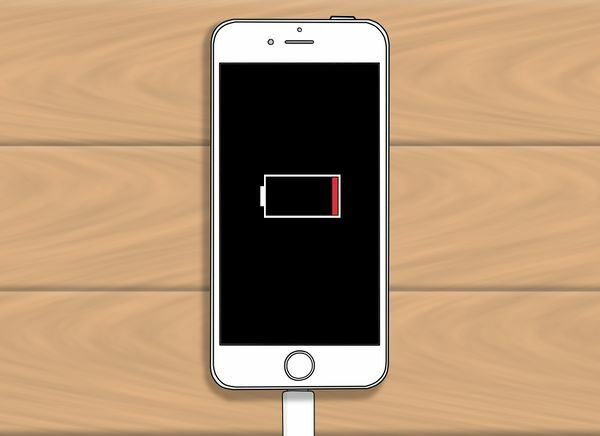 If your phone's battery was dead prior to plugging the phone in, you'll see an empty battery silhouette with a sliver of red light in it. 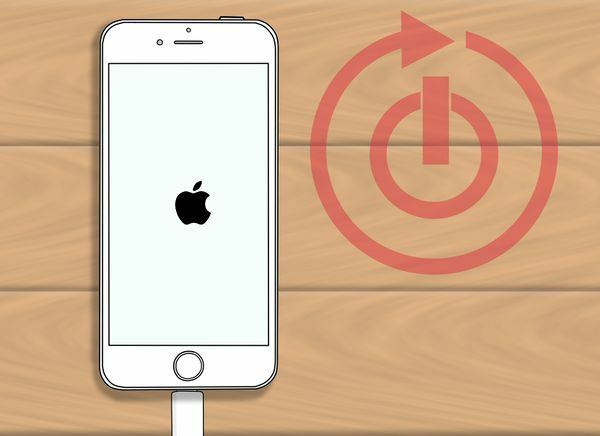 If your phone wasn't dead, you'll see the Apple logo appear here. If your battery was dead, this can take up to an hour. Otherwise, your phone should restart within a minute.